﻿ How to Find Hiring Managers and their Contact Information in Companies? Third-party recruiters often get their job orders from Hiring Managers in companies. 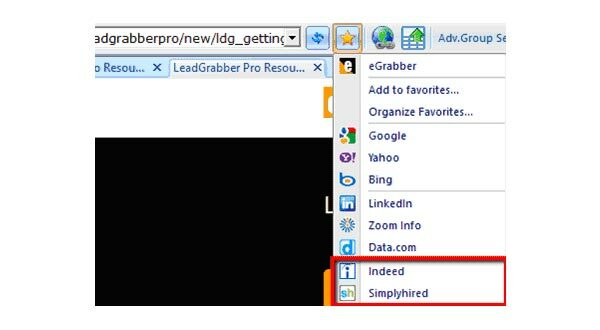 Using LeadGrabber MF, you can capture list of companies who has a Job requirement from various job boards and finds Hiring Managers in those companies along with their verified contact information. 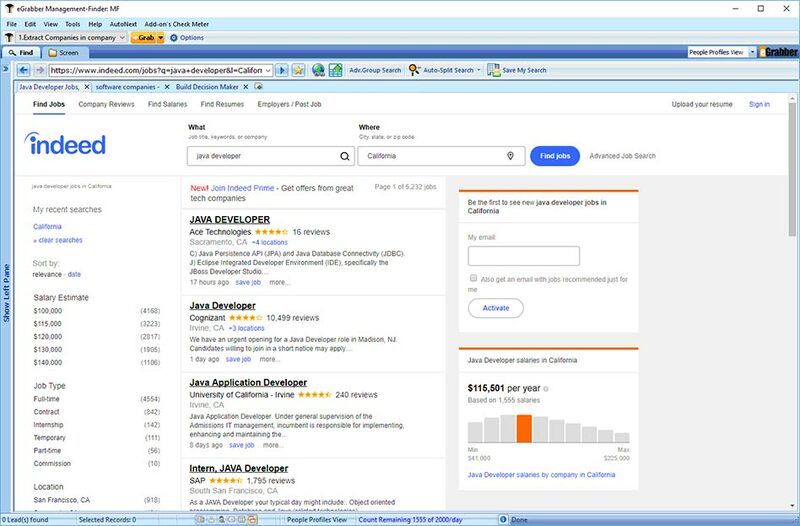 Step 1: Select the job listing from where you want to extract hiring companies. Example: Indeed.com. LeadGrabber MF supports top job boards such as Simply Hired, Indeed, Career builder, Monster, Dice websites. Step 3: To reach the hiring manager of the company, select "*Append specific Decision maker from Company" from the Append Decision Makers drop-down and click on the relevant hiring manager titles. Example: Chief HR /EQ.